Academics: Enroll in a Studio. An Academy Studio consists of two college-level courses, paired to explore a particular topic or theme. Our Coordinator will help you select the best Studio for your major. Learn more about the academic experience here. Co-curricular Experiences: To bring learning to life, we provide hands-on experiences on and off campus. Past Academies have traveled to Cambridge, Maryland to tour Harriet Tubman's Underground Railroad sites, explored exhibits at the Air and Space Museum, constructed three-dimensional models, and so much more. Residential Experience: All participants immerse in the college experience by living on campus. Residence halls are fully staffed and fresh meals are provided daily. Extra-curricular Activities:The summer will be packed with fun and inspiring activities. 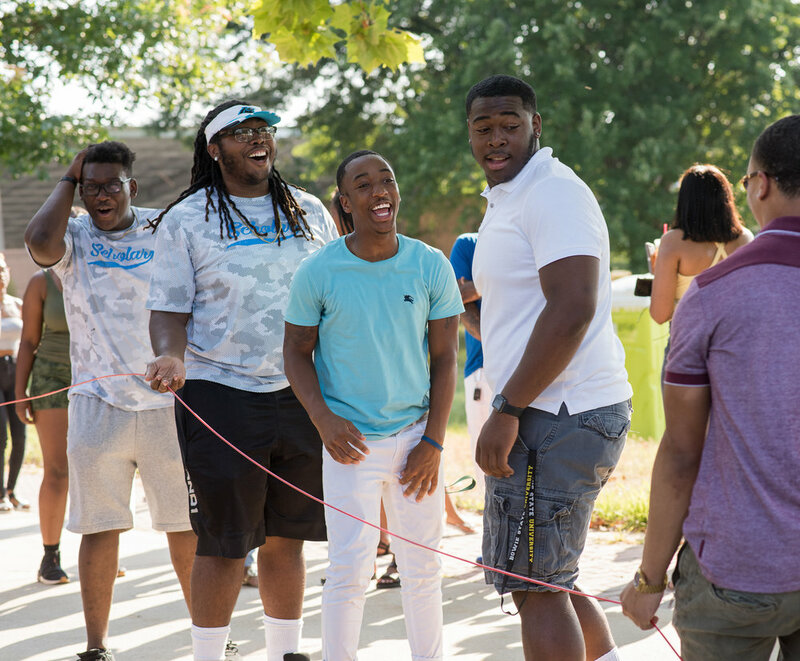 Last year scholars participated in team building activities, intramural sports, arts and crafts, fitness classes, and much more. We are currently accepting registrations. 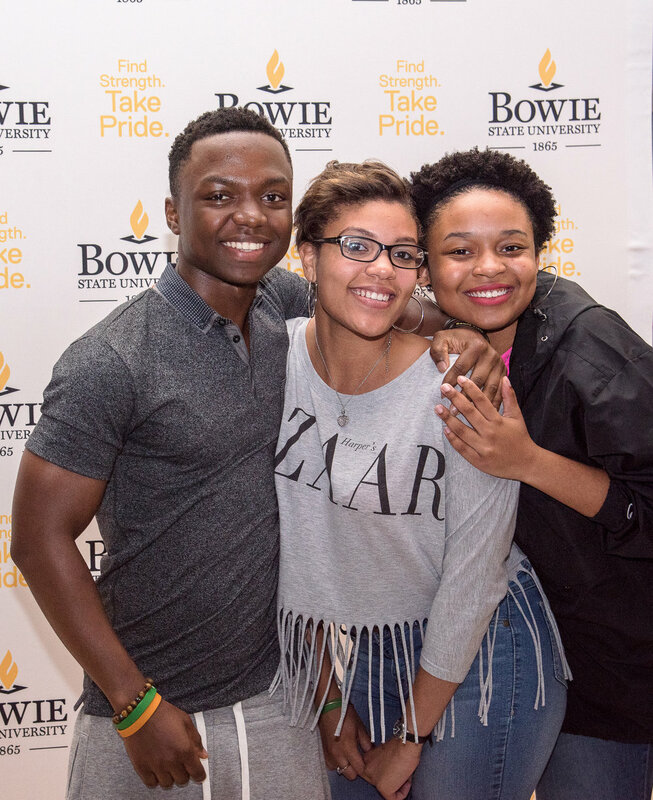 You may register after you have been accepted to Bowie State University and paid your $80 confirmation of attendance fee. To reserve a spot in the Academy, fill out the application and pay a $350 deposit or in full. Pay in person: the Cashier is located on the first floor of the Henry Administrative Building. Pay by mail: Check is payable to Bowie State University. Send to Student Accounts, Suite 1300, 14000 Jericho Park Road, Bowie State, MD 20715. The balance is due by 4:30 p.m. on June 12th. Program fees cover tuition, housing, meals, books, activities and fees. Housing and meals are covered in the cost of the program fee. Participants are housed in an on-campus residence hall. Men and women stay on separate floors in the same building with Resident Mentors of the same gender. Hall amenities include a laundry facility and floor lounges and kitchenettes on each floor. The lounge, located off the lobby, is utilized for studying, programs, classes, and also has Direct TV. Other amenities include a conference room, and computer lab. Rooms are assigned randomly. Roommate requests are considered but not guaranteed. Roommate requests may be made in the registration form but will only be honored if both parties request to room together. Bulldog Scholars Academy maintains a low resident staff-to-student ratio to provide plenty of support during your transition to college life. * Please note that food service is only available during mealtime in the summer. You are encouraged to pack snacks and microwavable food. You are welcome to bring dorm-sized refrigerators; however, microwaves are not permitted unless they come as a micro-fridge combo. A refrigerator and microwave are available on each floor in the residence hall. A recommended packing list is available here.